Difference between revisions of "User:FoxHound"
'''FoxHound''' (or Ivan Bruno Lange) is a [[w:Brazil|brazilian]] [[image:br.png]] [[w:Biologist|biologist]] who was born in 1991, and he currently lives in [[w:Curitiba|Curitiba]] - [[w:Paraná (state)|PR]]. He used to play [[Worms World Party]] for a long time, and he started to play [[Worms Armageddon]] (he bought [[Worms Battle Pack]] long time ago, so he also played W2 offline a bit and he also had a Demo version of Worms 1, which he used to play with a friend). He likes [[w:Chess|Chess]], even though he rarely plays, his favourite sport is [[w:Rock climbing|Rock Climbing]] and he is a music lover. His account name was taken from [[w:Metal Gear (series)|Metal Gear Solid Series]]; he used to play (but [[w:Metal Gear Solid 3: Snake Eater|MGS 3]] often, and he has achieved the best rank of this game many times. This [http://img188.imageshack.us/img188/6170/dsc04604z.jpg photo] is his best time record which was was 1h 44min 01sec). '''FoxHound''' (or Ivan Bruno Lange) is a [[w:Brazil|brazilian]] [[image:br.png]] [[w:Biologist|biologist]] who was born in 1991, and he currently lives in [[w:Curitiba|Curitiba]] - [[w:Paraná (state)|PR]]. He used to play [[Worms World Party]] for a long time, and he started to play [[Worms Armageddon]] (he bought [[Worms Battle Pack]] long time ago, so he also played W2 offline a bit and he also had a Demo version of Worms 1, which he used to play with a friend). He likes [[w:Chess|Chess]], even though he rarely plays, his favourite sport is [[w:Rock climbing|Rock Climbing]] and he is a music lover. His account name was taken from [[w:Metal Gear (series)|Metal Gear Solid Series]]; he used to play (but [[w:Metal Gear Solid 3: Snake Eater|MGS 3]] often, and he has achieved the best rank of this game many times. This [http://img188.imageshack.us/img188/6170/dsc04604z.jpg photo] is his best time record which was 1h 44min 01sec). I used to use a homming pigeon sound on my cellphone (before smartphones) when I received messages. FoxHound (or Ivan Bruno Lange) is a brazilian biologist who was born in 1991, and he currently lives in Curitiba - PR. He used to play Worms World Party for a long time, and he started to play Worms Armageddon (he bought Worms Battle Pack long time ago, so he also played W2 offline a bit and he also had a Demo version of Worms 1, which he used to play with a friend). He likes Chess, even though he rarely plays, his favourite sport is Rock Climbing and he is a music lover. His account name was taken from Metal Gear Solid Series; he used to play (but MGS 3 often, and he has achieved the best rank of this game many times. This photo is his best time record which was 1h 44min 01sec). 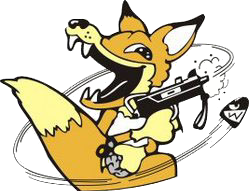 FoxHound loves schemes: he creates them, likes to play new ones, try new features of Project X and RubberWorm. Currently he is working together with DumbBongChow on a community called WoSC (Warehouse of Scheme Creations) wich focus on scheme creations. This community started as a TUS community and now we have a forum that can be considered our website. FoxHound created a humor blog for Worms Armageddon called Worms Armageddon Humor, he will try to add content and improve the blog when possible. Does he like this wiki too. Sometimes when I am watching TV, I stay focused in the corners of the TV imagining a worm with a rope attached in the corner doing a Mexi. Sometimes I hear voices of the worms from Worms Armageddon saying, "idiot" or "yes sir", and hear sounds effect of the game like an explosion or the ninja rope attachment in my head all the time. Weapons and other stuff from the game would be ¨balanced"
Updates every week, it would nauseate less the players (people would have more interest to keep playing the game). People would(?) buy skins, new map themes/background and maybe some exclusive and oficial animated graves. People who enjoy just playing for fun and prefer the classic way of creating a lobby and being the host would have less space probably. This page was last modified on 17 March 2019, at 02:37.